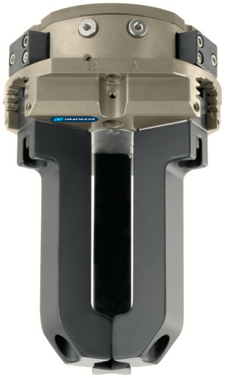 Schunk offers the world's largest standard portfolio of grippers for all ambient conditions and applications, pneumatically and electrically. The grippers boast robust technology with a long service life, e.g. through the patented multi-tooth guidance. Schunk possesses more than 30 years of development and solution competence. From micro assembly to heavy-load handling, these parallel grippers can handle workpieces with weights of anywhere between a few grams and 80 kilograms, and are suitable for many applications, from the cleanroom to potentially explosive work areas. Schunk’s standard centric grippers include small parts, universal, and sealed grippers with three fingers for safe and precise O.D. and I.D. gripping of workpieces, with weight handling capabilities of more than 100 kilograms. If workpiece sizes vary, angular grippers may be the more economic alternative to parallel grippers, depending on the respective application. 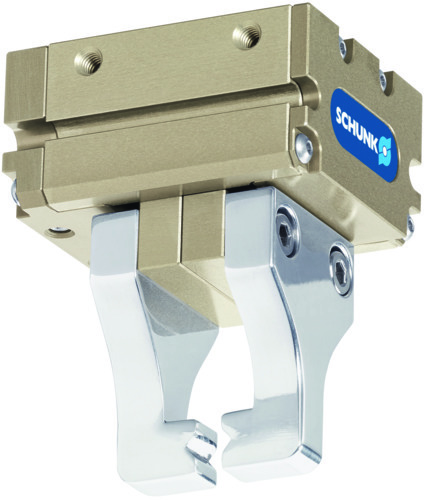 Schunk’s large-area electrically actuated grippers are designed for reliable and precise loading and unloading of various ferromagnetic workpieces into and out of machines. These pneumatic, 4-finger universal grippers are designed for reliable and precise palletizing/depalletizing, and positioning of cylindrical workpieces in assembly and production processes. 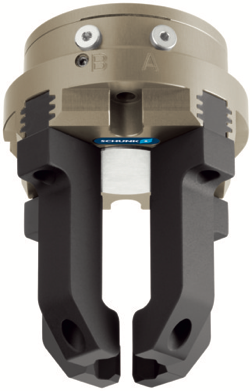 Schunk’s pneumatic O-ring gripper is predestined for reliable and automatic gripping and assembly of O-rings, square rings, and other rings for shafts and in bore holes. It can work with rings of a diameter between 5 and 160 millimeters for external assembly, and a diameter between 10 and 120 millimeters for internal assembly. Gripping of small to mid-sized workpieces in low-contamination environments with reduced requirements in terms of precision and lifespan and for shorter system run times. 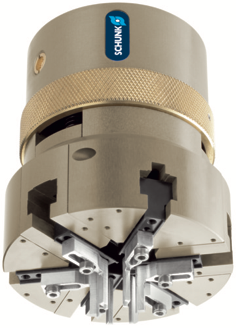 for a broad range of applications from small to mid-sized workpieces. 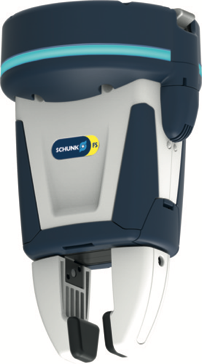 Clayton Controls is a Schunk distributor in California. We offer technical support to help our customers solve their applications.